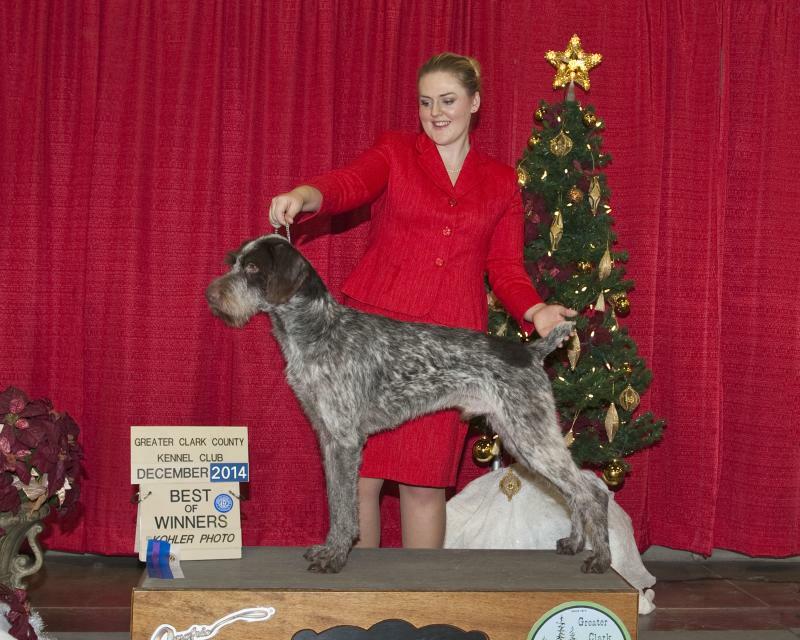 Secora is a beautiful girl with correct wirey coat and excellent pigment. 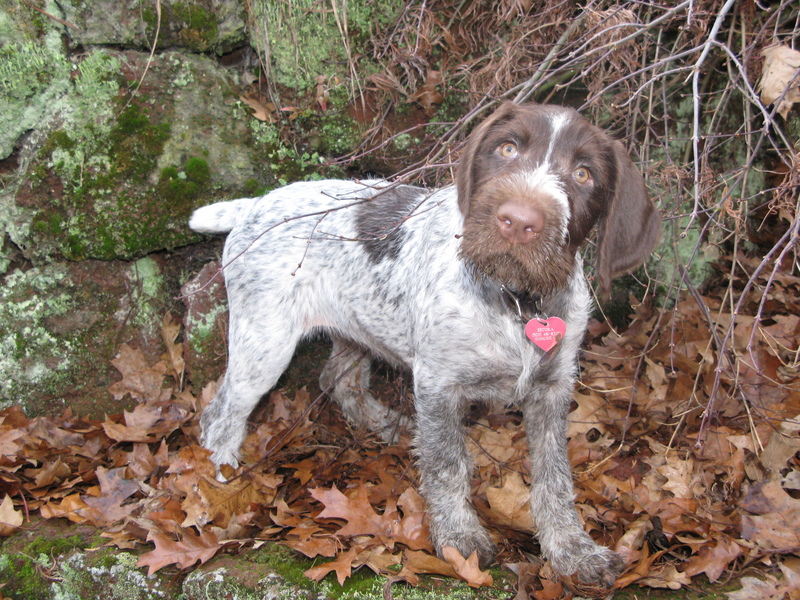 She is a nice mover--with a good tail set. 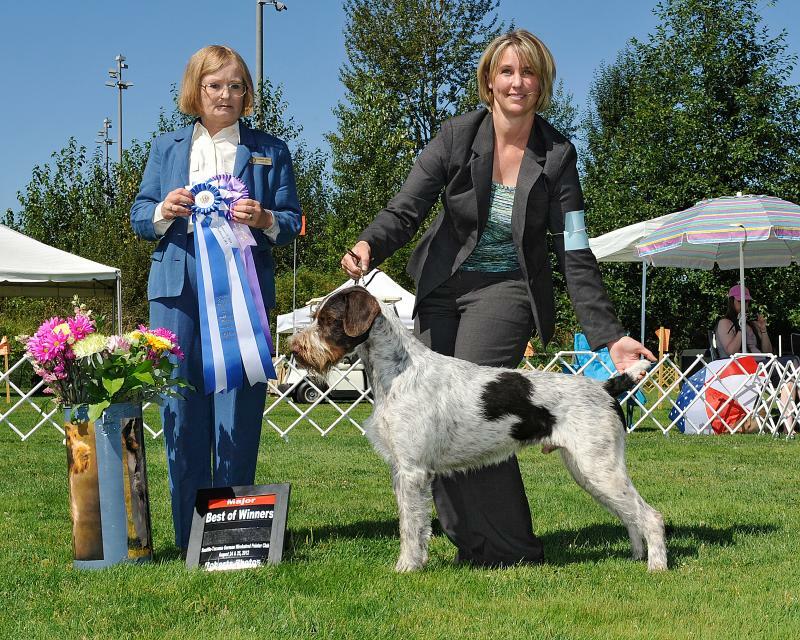 Secora easily completed her Championship in the ring and also is a multi-group placer. 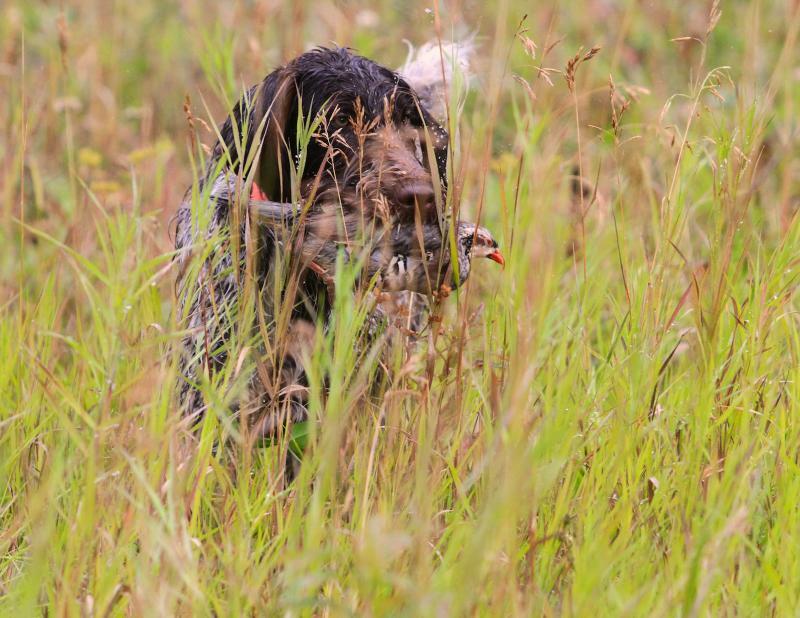 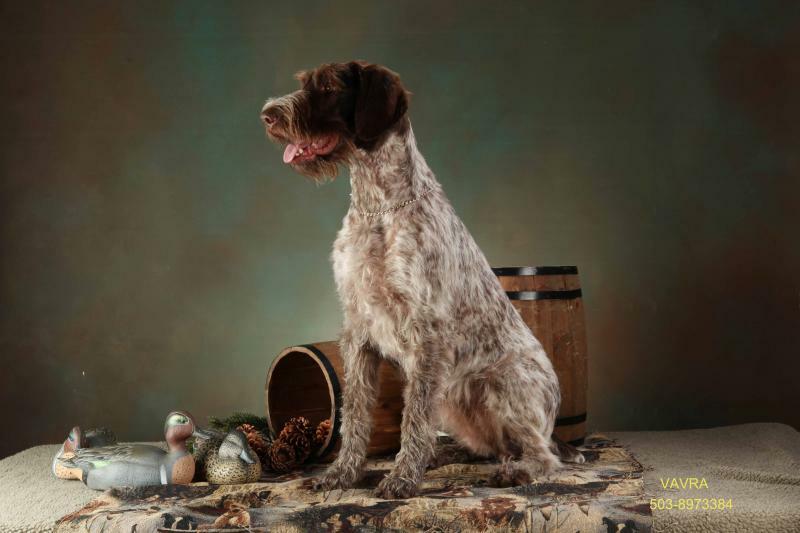 She is cooperative and easy to train-she has obtained her Junior Hunter title (JH), Rally Excellent (RE) Canine Companion Dog (CD) Canine Good Citizen (CGC) and verstaility awarded at the 2012 German Wirehaired Pointer Club of America. 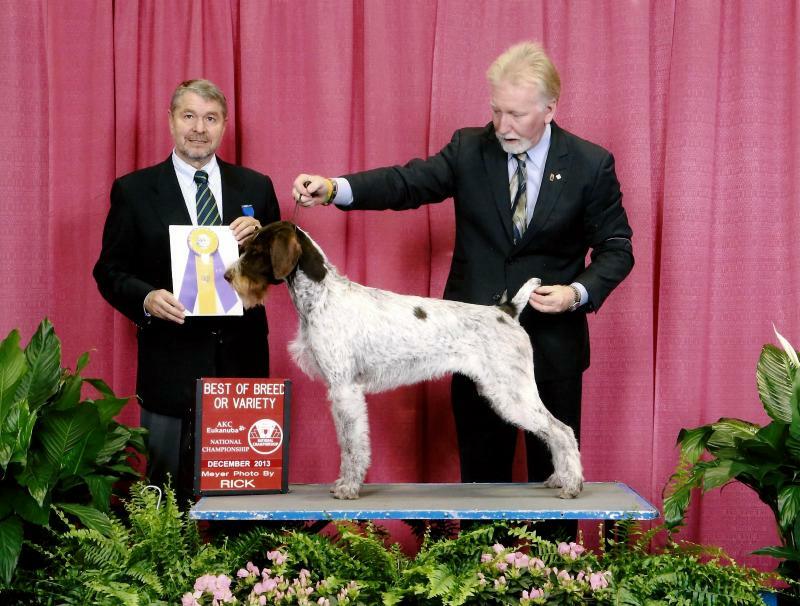 Secora is a proven producer of quality dogs--she is the mother of the 2013 Eukanuba Best of Breed Winner, group placers, International Champions, Grand Champions, Champions, NAVHDA NA, Junior Hunters, Rally Advanced and Canine Good Citizens and great family companions!